Easily create time-based & rule-based notifications and get your reminders on time! Effortlessly configure time-based and rule-based SharePoint notifications and reminders! SharePoint Smart Notifications enhances the out-of-the-box SharePoint alerts system, improving business processes and increasing productivity! Get a notification before a task is due, at a pre-defined time and at intervals of your choice. Notifications can continue after the task was due, reminding about the delayed tasks. 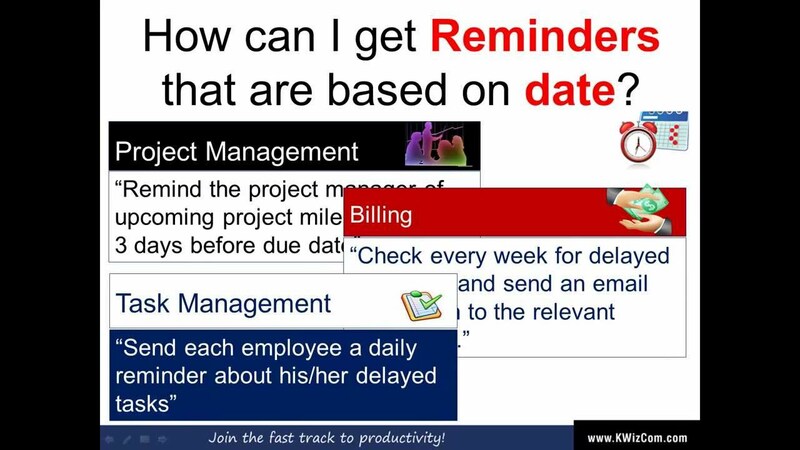 Project related notifications, such as milestone reminders, delays warnings, alerts to billing and more are defined and sent to individuals or groups. Remind customers (individuals or groups) about an upcoming due payment or a delayed payment by sending notifications outside the organization, via emails. Remind customers (individuals or groups) to renew their support program.